For all the Manmohan Desai and Shammi films I’ve written up, it’s kind of criminal that I’m only now getting to one of their collaborations. Better late than never, right? 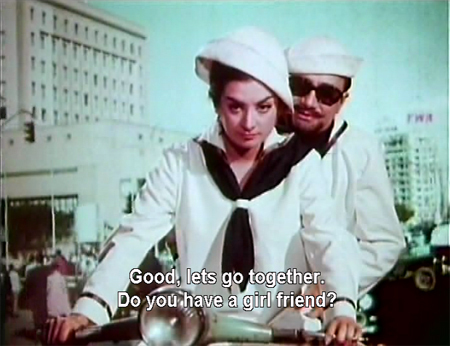 And this is a much better film than their second venture together, Budtameez (1966). 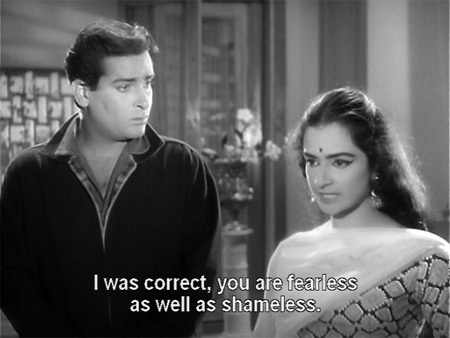 In fact, this is a film to which Shammi brought his acting “A” game. He is just great in it, giving a realistic and three-dimensional portrayal of a slick and charming con man who has some hard lessons to learn. 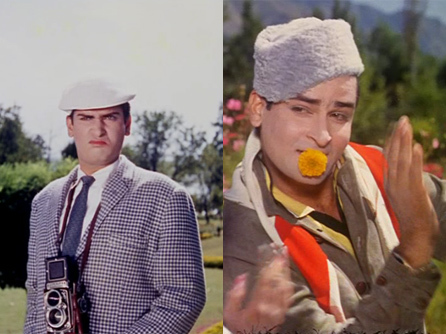 Saira Banu is his love interest, and although she’s not my favorite, she is lovely to look at here and, as with Junglee, a good foil for Shammi. Mr Desai himself shows little sign of the unrestrained lunacy he was to bring to cinema in the 70s, and has directed a movie with brisk pacing, interesting characters and an entertaining—if predictable—story. 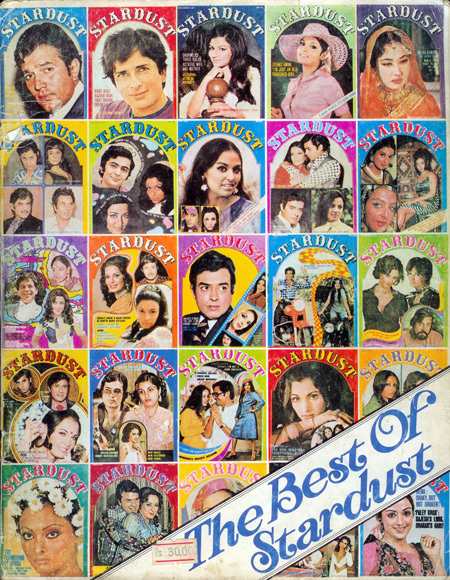 The songs, by Kalyanji Anandji with the able assistance of Laxmikant Pyarelal, are just fabulous too. This movie is what happens when a person (producer/director/writer Pachhi) with money to burn sets out to follow his dream—a dream for which he has no aptitude whatsoever. I can’t even say I wasn’t warned. But the temptation of Dharmendra and Feroz Khan circa 1974 in a film by the awesome name of International Crook proved too much for me to resist. Even the presence of Saira Banu dressed up like a dog’s dinner did not deter me. And while I won’t *quite* say that I’m sorry I watched it, I will say that it is a bad film. A very bad film. Today I am going to stray from my usual format for discussing movies. I can’t offer a synopsis of the story, since it was nonsensical and bewildering and I lost the thread about halfway through. The closest I could come would be to say that it’s “The Love Boat” meets every cheesy spy movie/tv show ever made. But I present this argument: a coherent plot is not always necessary. Despite the lack of one, this film had entertaining goodies a-plenty.